Black Friday at Boohoo - Sugar, Darling? I won't lie, I don't really get how Black Friday which was given it's name due to the day after thanksgiving being hellish due to heavy tourist traffic and congestion has become renound with mega sales and shopping. It's not something I go crazy for on a technology level as most do, but I'm always happy to get in on the fashion related BF madness - as long as I can do it from the safety of my computer screen! 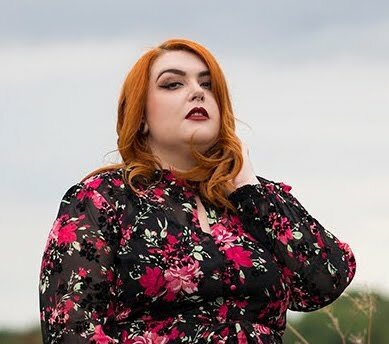 One of my favourite trend led budget friendly online stores Boohoo.com have got some extra fabulous deals coming your way this Friday and to celebrate here's a little all black outfit featuring a lovely piece from their plus size range, the Willow Lace Panelled Flute Sleeve Dress (£18.00*). 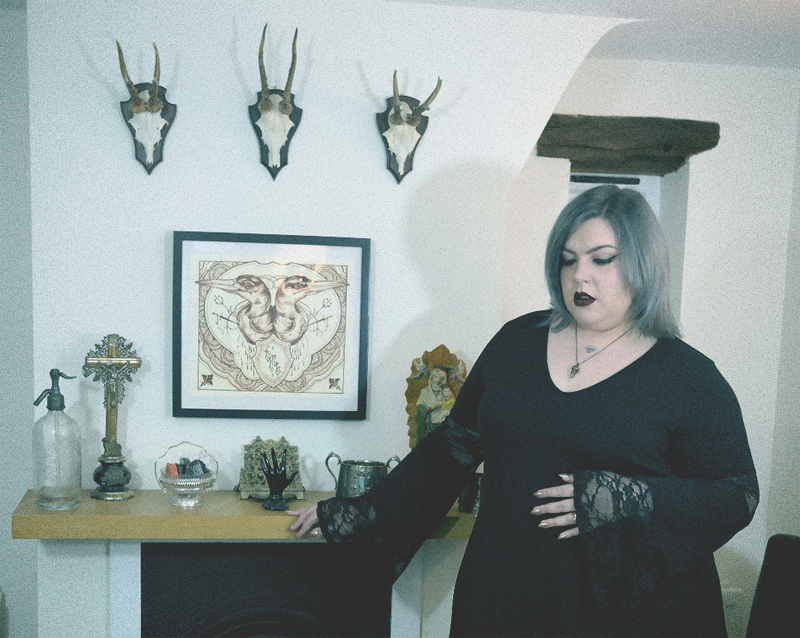 I don't exactly hide my love for the creepy and unusual and so it was a no brainer that this witchy little number would be right up my street. 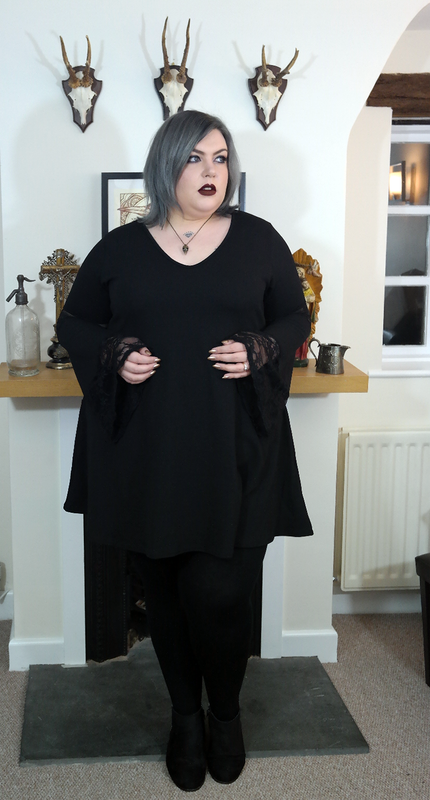 It's so easy to wear too either on it's own or with tights or jeans or leggings. 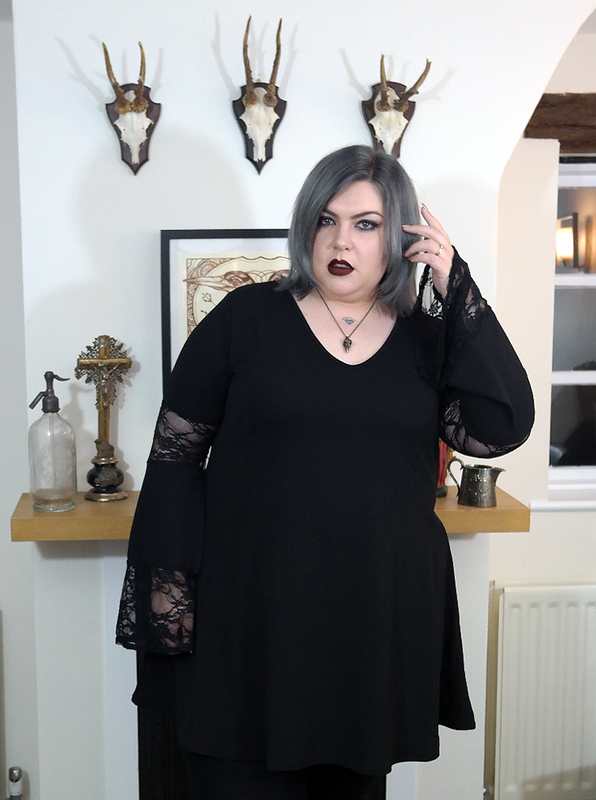 As the lace panelled sleeves are a wonderful detail it doesn't exactly need much accessorising but I couldn't help but pop on my cute little bird skull pendant and some deep berry red lippy to keep the gothy aesthetic going. In fact, it's so comfy and simple to dress up that I may well purchase the wine coloured version too - at only £18 why ever not?! Make sure you head over to www.boohoo.com on Friday to snag yourself some fashion steals!